Half moon pitches are mown into the flower and herb rich grass. 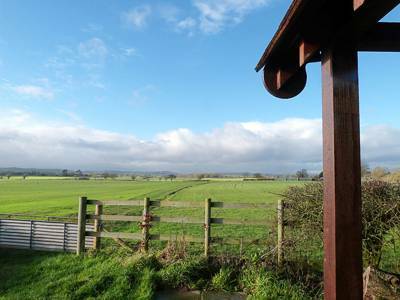 There are panoramic views of the Black Mountains and the Golden Valley. Children can play in a specially mown area in the centre of the field, or follow mown paths to the woods. Why not visit our tiny shop and treat yourself to some local beer or cider to enjoy around the campfire. The Welsh Marches, the bucolic borderlands running through the modern day English counties of Herefordshire and Shropshire (not to mention parts of Cheshire), can boast some of the British Isles’ most stunning, history-rich landscapes. 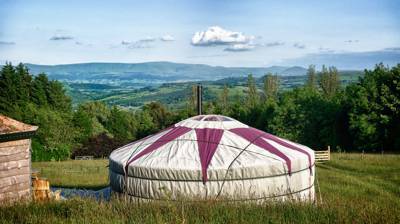 Either side of Offa’s Dyke, dramatic ranges like the Brecon Beacons and Shropshire Hills, make this a region that should top anyone’s bucket list. 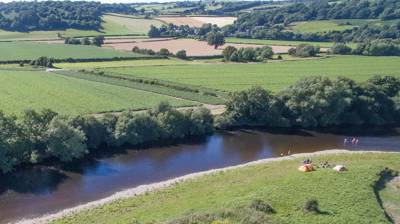 And with the opening of Chapel House Farm Campsite near Hay-on-Wye, you’ve all the more reason to. 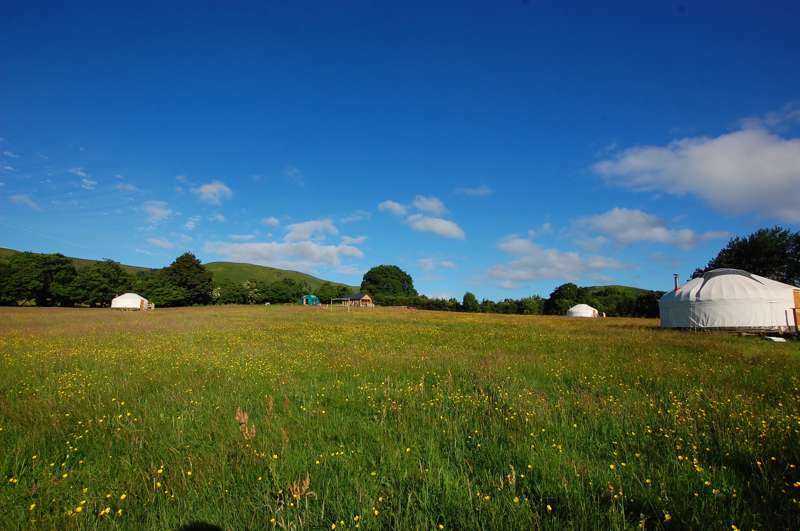 Found on the fringes of sleepy Craswall, Chapel House Farm Campsite is 15 sprawling acres of vibrant wildflower meadows bordered by ancient woodland. Generous, half-moon-shaped pitches are mown into the long grass, while adjacent ‘pitch-where-you-like’ fields filled with flowers leave campers spoiled for choice. 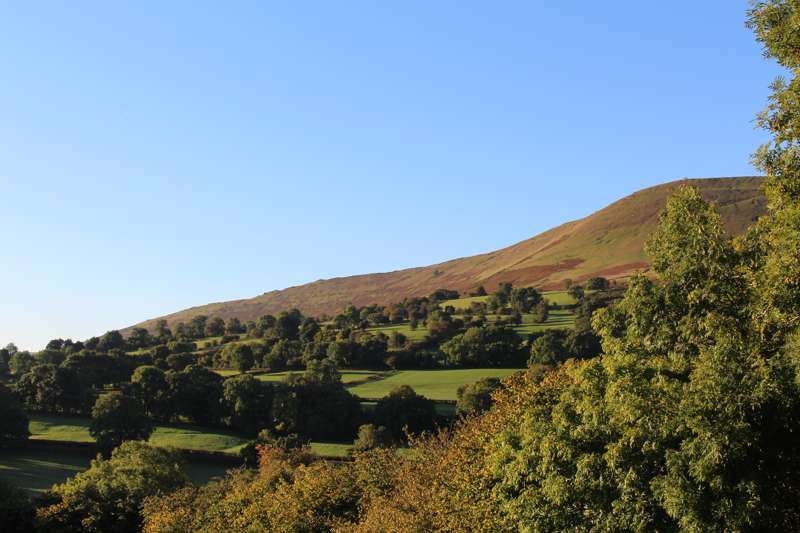 Wherever you choose to stop, you’ll enjoy breathtaking views of the Black Mountains and the peaceful tranquility of this understated retreat. 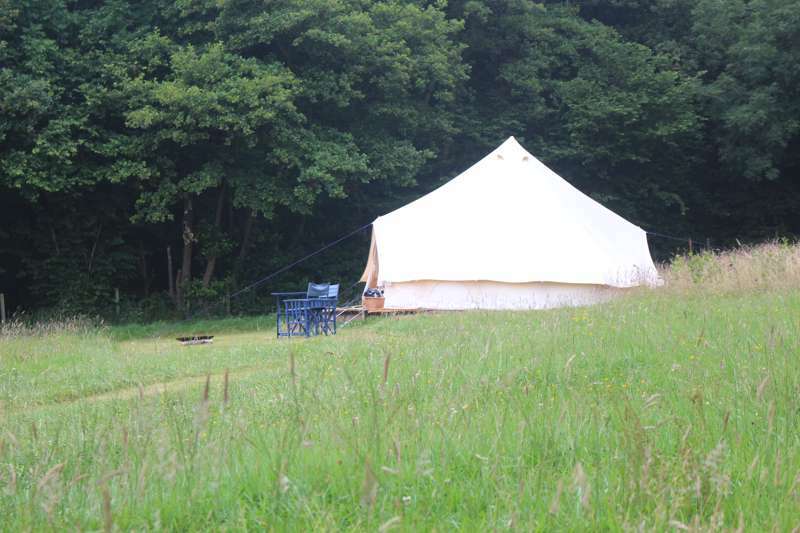 For those who like their camping with comforts, there is a spacious, six-metre furnished bell tent in a private field. It comfortably sleeps up to four (a double bed and two singles) and is adorned in a simple yet tasteful style, with beautiful furnishings such as colourful rugs, fresh flowers, director’s chairs, and an old steamer trunk lending a homely feel. The firepit provided (with swinging grill and tripod) means glampers can also enjoy that all important al fresco cook-out. Solar lanterns, picnic blankets and all the kit and kaboodle come included. 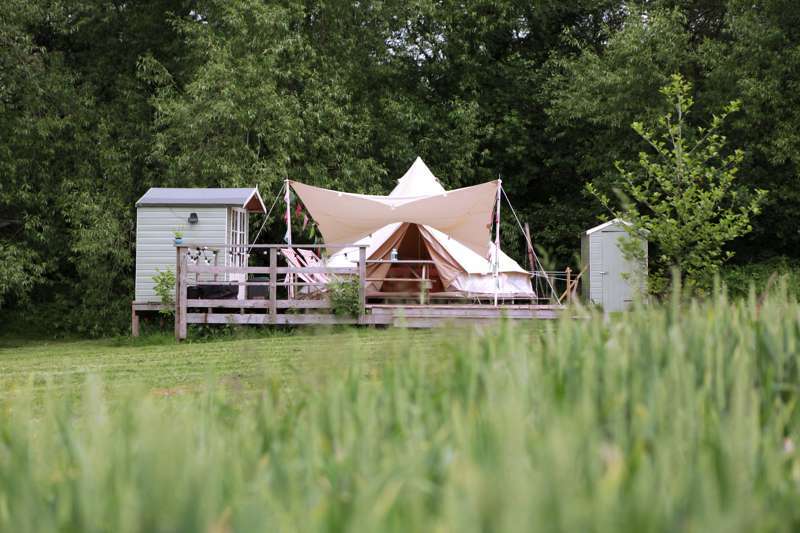 A care and attention to detail runs throughout Chapel House Farm, from the complimentary firepits, to the little on-site shop stocking locally-brewed beer and cider. It’s clear that your hosts (Simon and Anita) know what elevates a good campsite into a great one. Look no further than the facilities block. With not a dingy portable cabin or rusty shipping container in sight, Simon and Anita have constructed an impressive oak-framed hut with Chestnut shingle roof (redolent of a Saxon-Romanian field barn) to house the free hot showers. Timber from the farm was used to construct the dishwashing area which also includes power-points and fridge-freezer. The showers even have gorgeous Mexican tiles on the wall! 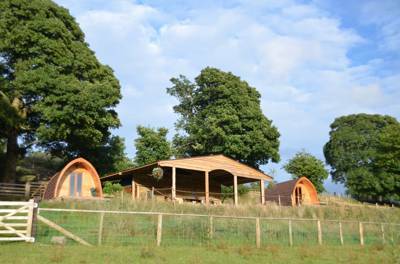 All in all, there’s a pleasingly laid back vibe to life at Chapel House Farm. Games are welcomed in the fields and the woods beyond are prime den-building real estate for little ones. Red Kites and Buzzards circle overhead and if you’re lucky (and quiet) you may even spot a fallow or miniature muntjac deer munching grass in the meadow at dawn. 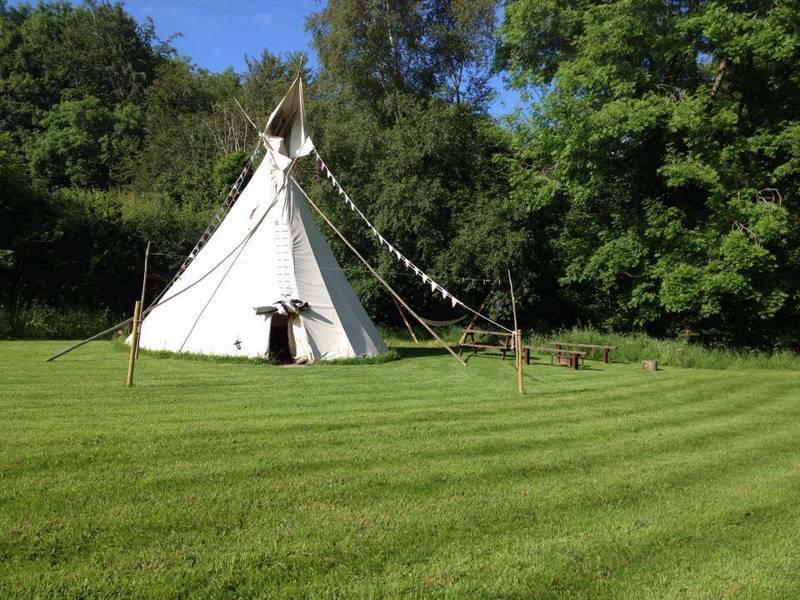 £25 per pitch with up to 2 adults and 2 children sharing. £5 per extra person (children under 5 stay for free). 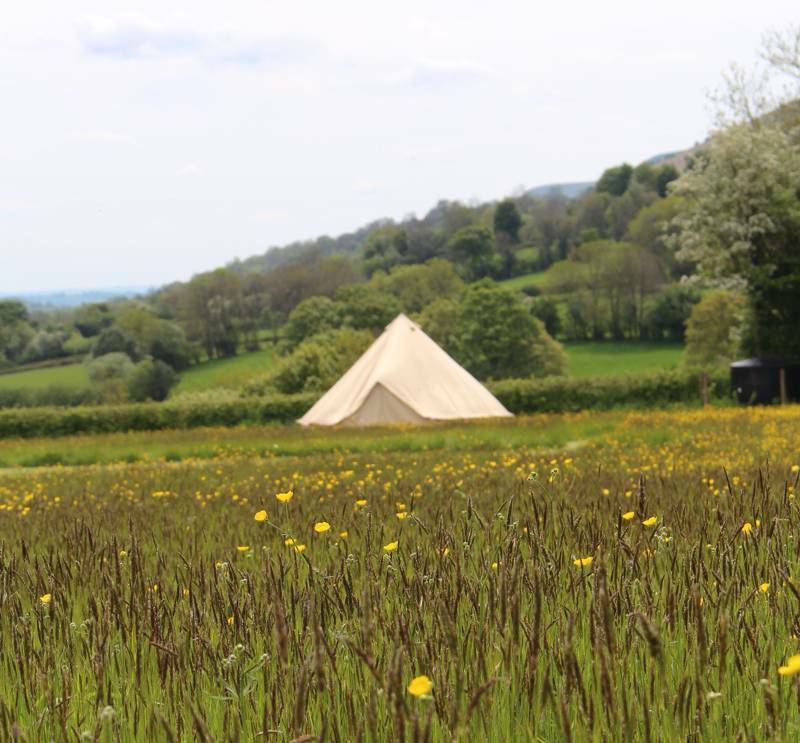 Bell tent £65 per night, including up to 4 people. 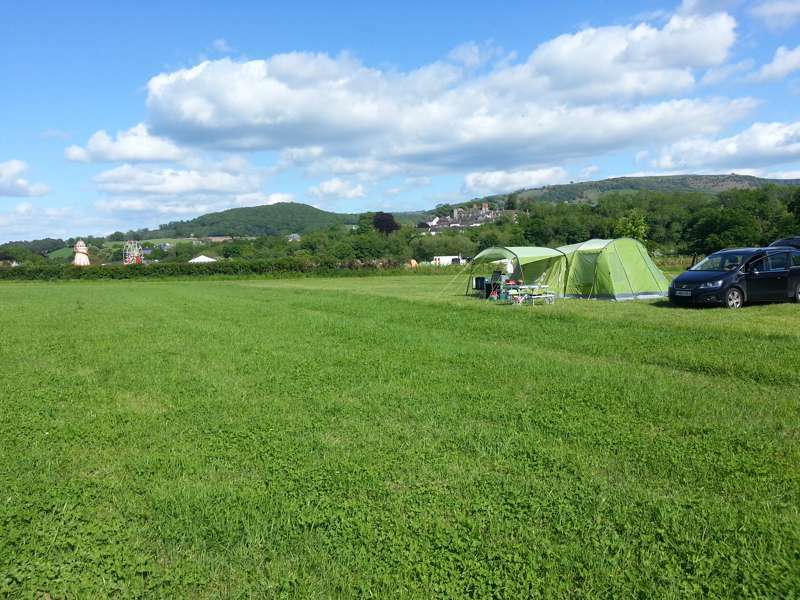 Chapel House Farm is a Greener camping Club site – non-members can join on site for £10 for the year (one member per pitch).